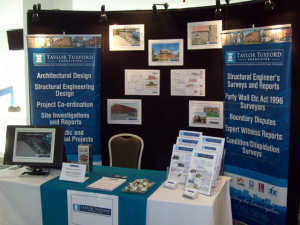 Taylor Tuxford Associates operates as an independent firm of consulting engineers, surveyors and architectural designers based in Rotherham, South Yorkshire, offering its services over a wide geographical area. We can advise you on almost all building, property and/or construction related matters, including as examples, structural engineer’s surveys, condition surveys, and the like. We can also provide you with a comprehensive architectural / building design service, covering all liaison with Planning and Building Control bodies as well as having our own in-house expertise for complementary issues such as structural design and matters relating to the Party Wall etc Act 1996. Why not browse our service using the drop down menu above. We believe in best value and not simply the cheapest price. We offer best value comprehensive professional service to our clients by ensuring our work is carried out by experienced and appropriately qualified technical staff. One of the means by which we achieve this, is by maintaining minimum overhead costs, allowing us to pass the resultant savings on to the Client while still achieving a fast turnaround of results on individual projects. We will produce full, detailed architectural design drawings and works specifications so that your builder can make a detailed, firm quotation for the building works cost. If you have not yet chosen your preferred builder, we can help with this as well, advising you on the best way to choose a contractor and we will also be pleased introduce you to experienced local firms as well, if you wish. On the few occasions where we feel that we are not best placed to assist you we will, wherever possible, recommend fellow professionals that we believe are better suited to service your needs. We will always give you the best, most professional advice we can, even if that means recommending that you seek assistance elsewhere.